What could be more fun at a penguin party than to actually act like a penguin? Some of these games encourage kids to do just that. The rest is just plain fun activities with a penguin theme. Musical chairs is a classic kids game that everyone loves. Since they don’t have chairs in the Arctic nations, however, the Penguins have to play musical ice blocks instead. To make ice blocks for your party game, simply wrap large cardboard boxes in a white paper. You may need to fill the boxes to make them sturdy enough for kids to sit on during play. Set up the ice blocks just as you would the chairs, with one less than you have players. Turn on the music and have the kids circle the row of ice blocks, only instead of walking, tell them to waddle like penguins. Cut the shapes of fish out of the cardstock paper. Attach a magnet sticker to each fish and drop them into a large bin, such as a cardboard box or laundry basket. Attach a large paper clip to the end of the line on the fishing pole. Kids must try to catch a fish by attracting the magnet to the clip. Each player gets three tries to catch a fish. Any player who fails to catch one is out of the game. A variation on this game is to color code the fish in the basket and assign different point values to each color. Players will try to catch the highest valued fish that they can. The player who scores the most points wins the game. Build a large igloo by stacking white wrapped, cardboard boxes. Build a small igloo using sugar cubes and white icing. Use white playing cards to play an igloo-building game just like building a house of cards. Build a milk jug igloo. Kids can divide into teams and run any style of a relay race, only instead of running, they waddle like penguins. If you happen to have a penguin costume, one fun idea is to have each player waddle the relay course in the costume and then take it off for the next player to wear. Divide your little penguins into two teams. Set up a bowl of ice cubes at the start line for each team. Set up an empty bowl for each team a few feet away from the starting line. Give each team a spoon. Players must carry the ice cubes, one at a time, from the full bowl to the empty bowl. The first player to fill their empty bowl wins. Another classic party game is Pin the Tail on the Donkey. 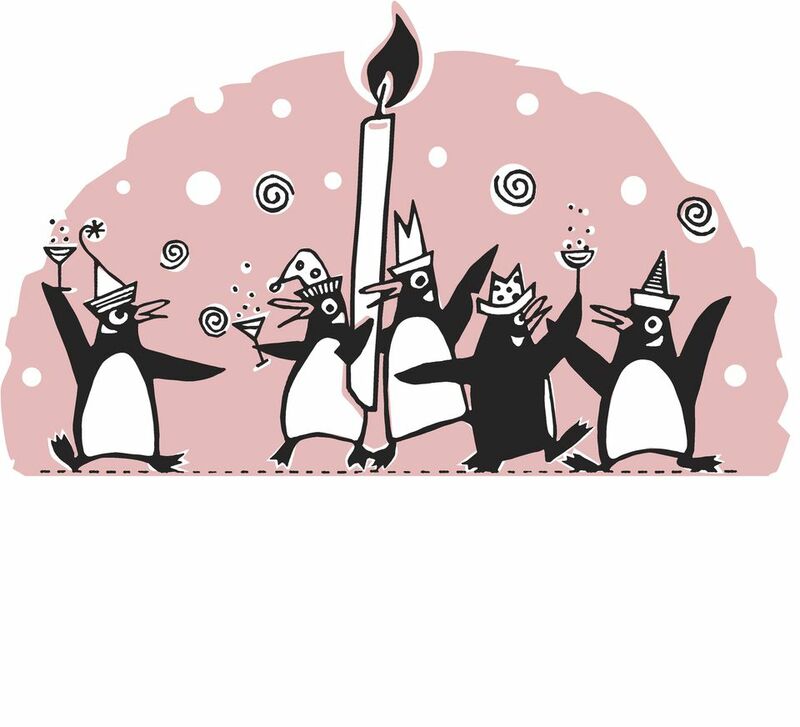 This game can be adapted to suit just about any party theme, including a penguin theme. Wrap a large box in a black and white paper to resemble a penguin. Cut a hole near the top of the box and draw a face around the hole (the hole will be the penguin's mouth). Tape orange, paper triangles above and below the hole to resemble the penguin's beak. Place the cardboard penguin against a wall. Have kids line up four-to-five feet away from the penguin. Give them small, foam balls (call them fish). See who can toss the fish into the penguin's mouth.